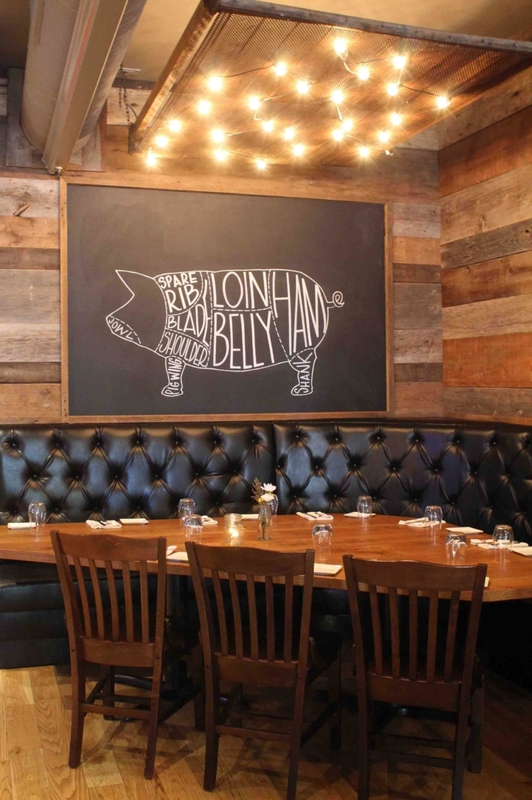 Ideal Tavern, convenient to Central Connecticut, is a gastronomic refuge that offers elevated versions of classic comfort foods in a casually modern, sophisticated, and rustic setting. Our restaurant’s interior features upcycled wood (from a barn in Maine) and industrial metal interior touches pay homage to our namesake, Ideal Forging, the venerable manufacturing company that had been a local community fixture. Our mission is to offer elevated food in a casual atmosphere. Ideal Tavern is the perfect gathering spot for friends and families, whether you’re a cocktail connoisseur, craver of craft beer, or fan of fine wines. We take care of our customers, offering fastidious service and combining it with uniquely creative preparation, all in a convivial and casual atmosphere. At Ideal, we dazzle your taste buds with both classic dishes and new offerings, satisfying both basic and elevated palettes alike. We prepare every dish and cocktail with fresh, handmade ingredients, bold flavors, unique pairings, and “Ah”-inducing presentations. By all means, we want to learn your name. And we want you to remember ours. Come on down to Ideal Tavern, where you’ll find mouthwatering fare and freshly-made cocktails. Sign up now for our newsletter and receive more exclusive specials beginning this week! Sign up now for our newsletter and receive exclusive offers!